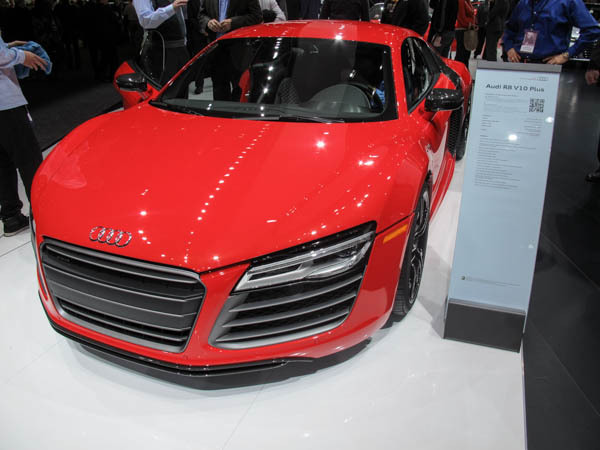 This week Morrie’s had the opportunity to attend the 2013 North American International Auto in Detroit. 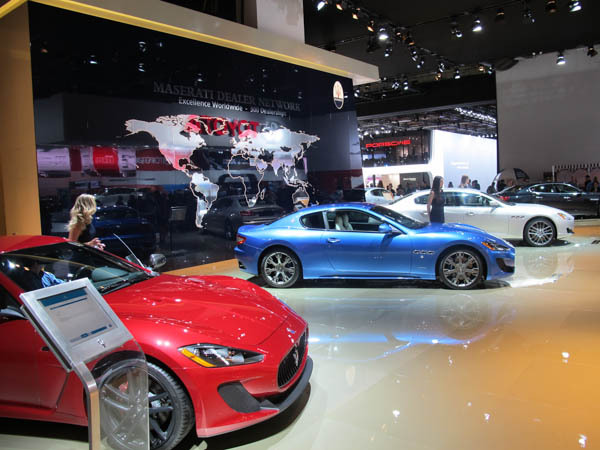 The show was marked by a number of vehicle debuts from domestic and overseas automakers. While C7 Corvette was the show’s media darling, Ford literarily dropped a big one on attendees with the unexpected display of their F150 Atlas Concept Vehicle. 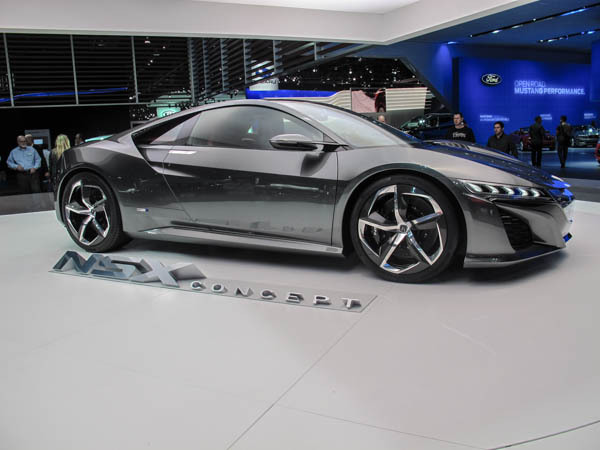 Other notable concept vehicles included the Hyundai HCD-14 Genesis Concept, Nissan Resonance SUV concept, Lincoln MKC Concept, BMW 4 Series Coupe Concept, Toyota Corolla Furia concept, Acura NSX concept plus a few others. 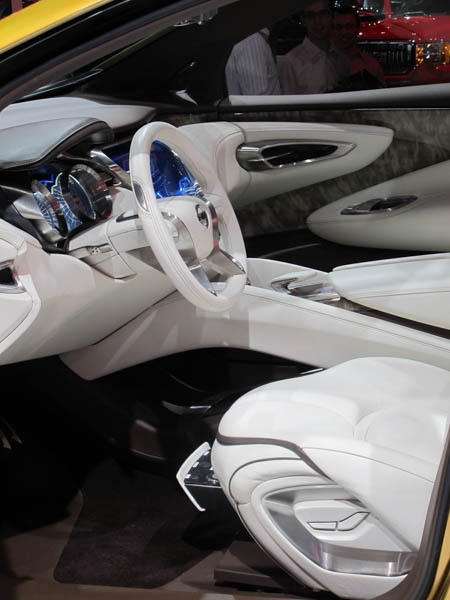 These concept vehicles all provide clues, some more accurate than others, as to how future production models might look. 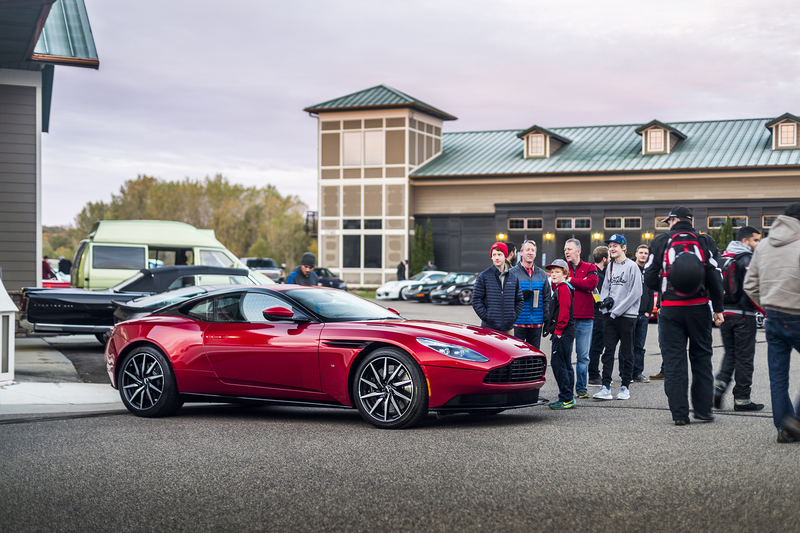 The production vehicle debuts were equally impressive, illustrating what will actually see on the roads in the near future. 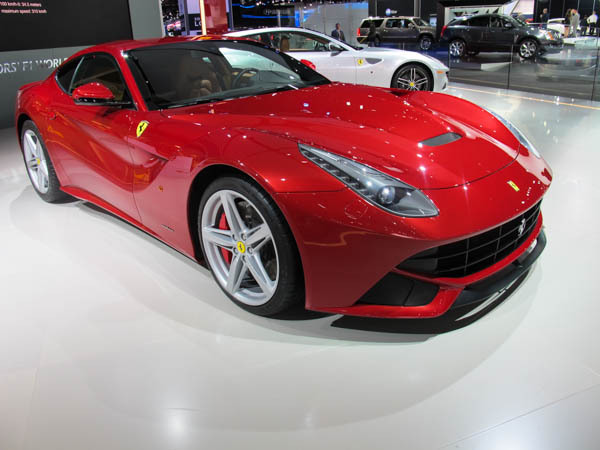 These included the 2014 Maserati Quattroporte, Audi RS7, Shelby Focus ST, Kia Cadenza, Nissan Versa Note, Cadillac ELR, Bentley Continental GT Speed Convertible and C7 Corvette. Please read along as we elaborate more fully on some of the more noteworthy vehicles that fall within Morrie’s portfolio of brands. Also be sure to check our YouTube and Facebook pages soon to see videos we put together for each vehicle highlighted below. You can’t argue that Bentley builds great cars and you would be nuts not to add one to your Powerball jackpot shopping spree. 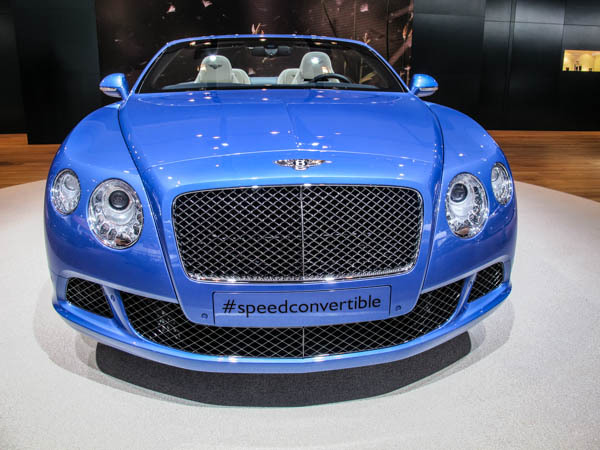 If for some reason the regular Bentley lineup just doesn’t do it for you, the new GT Speed Convertible will definitely convert you. 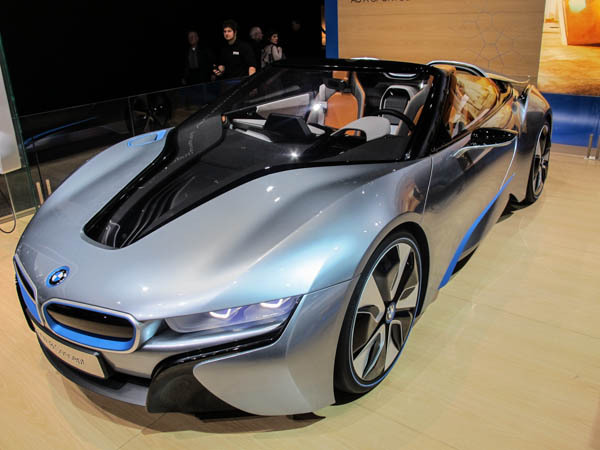 This car is the quickest 4-passenger convertible on the market today reaching 202 miles per hour thanks its 12-cylinder turbocharged engine. It sprints to 60 miles per hour in 4.1 seconds, while delivering the solid feel and road handling you come to expect from Bentley. 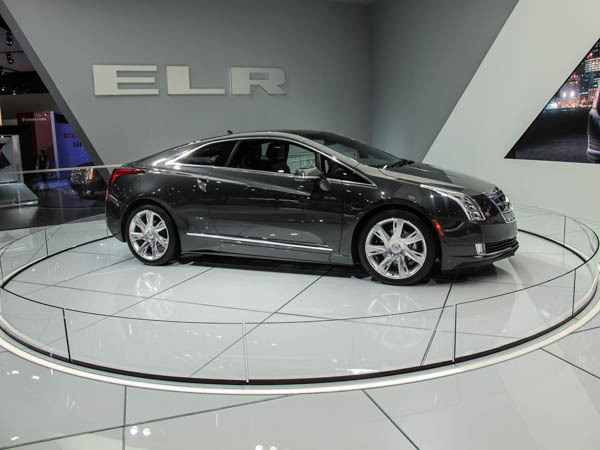 You could say that the Cadillac ELR is the younger, more luxurious brother of the Chevy volt. 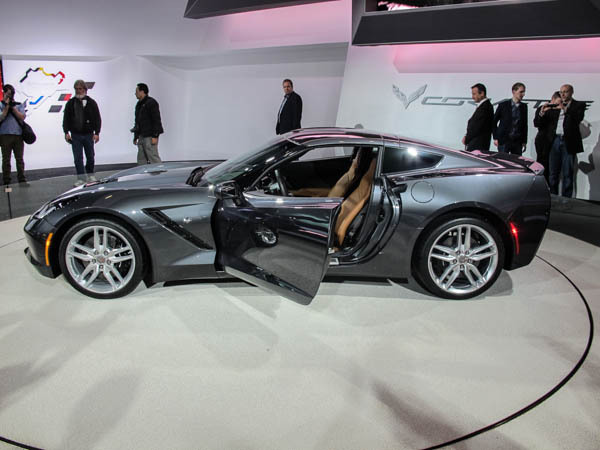 Or, you could say that it is the lovechild of the Volt and the Cadillac ATS. Regardless of how you look at it, the ELR is Cadillac’s stunning new hybrid vehicle that combines Cadillac elegance with hybrid efficiency. Previewed by the Converj concept a few years back, the ELR remains very true to the concept’s design and features a bold grille, front and rear LED lights and strong design lines. 20-inch wheels complement the exterior. The ELR borrows the Volts powertrain architecture, employing a 16.5-kilowatt hour lithium ion battery pack with a 1.4-liter gasoline powered generator. On battery power alone expect a range of nearly 40 miles. When coupled with the gas engine you can expect a range of approximately 300 miles. 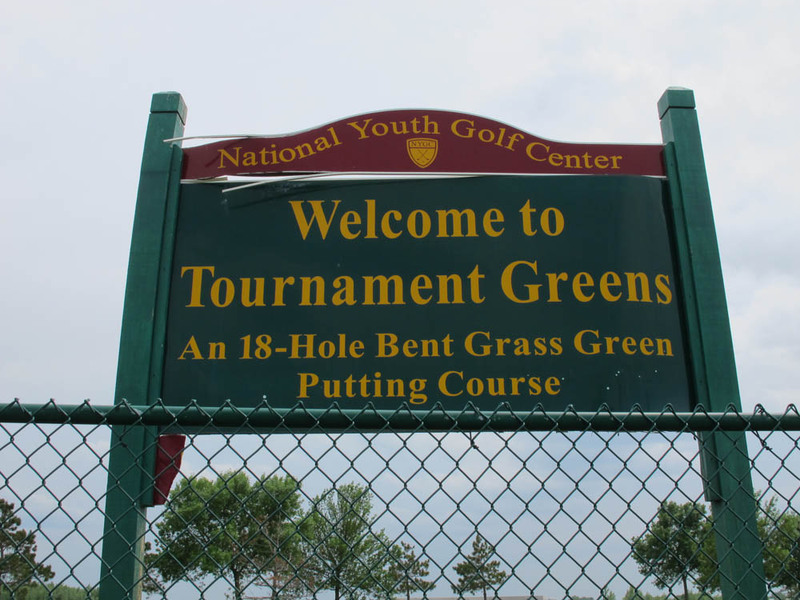 Obviously range is variable on driving conditions, how heavy your right foot is, etc. 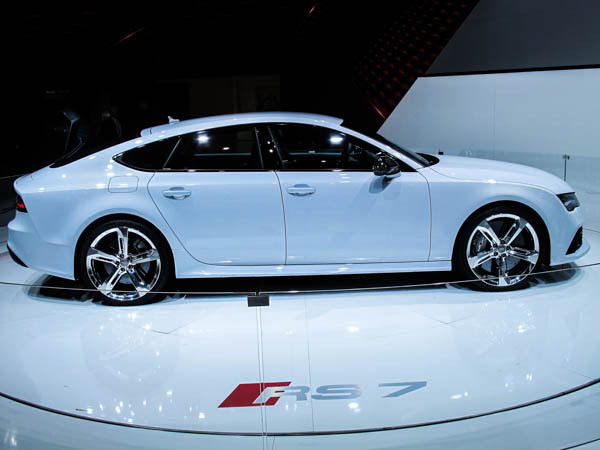 One innovative feature is driver selectable regenerative braking. Using paddle shifters the driver can select different levels of regenerative braking, similar to downshifting traditional manual transmission. 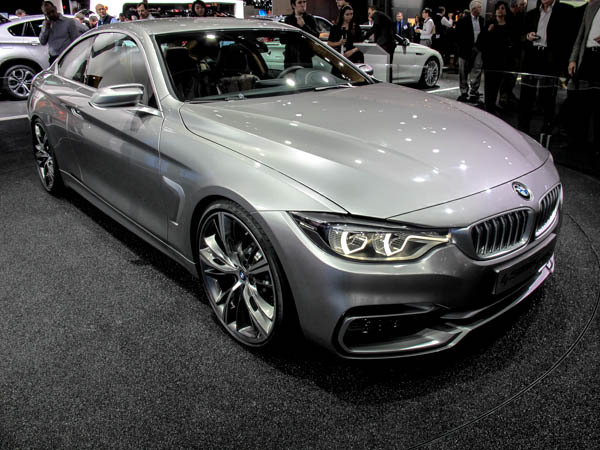 This 2+2 coupe will be built in limited number with production kicking off at the end of 2013. 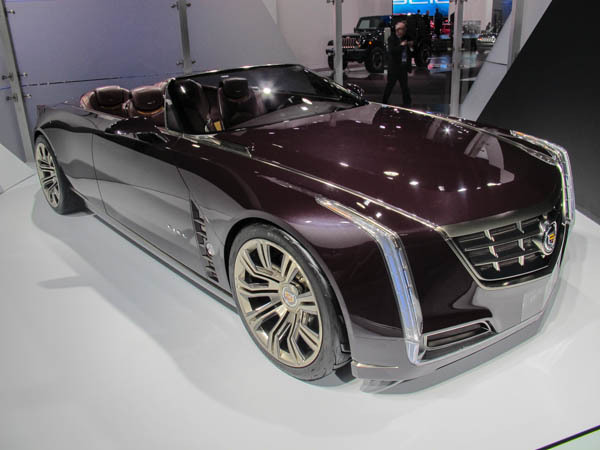 In addition to the ELR, Cadillac brought back its Ciel concept vehicle and was showcasing the ATS’ winning of the North American Car of the Year title. 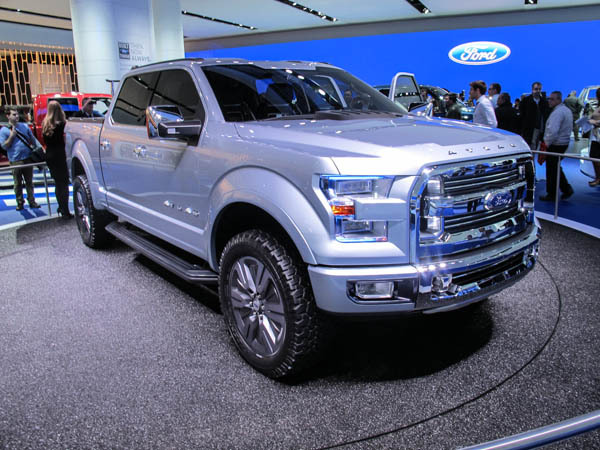 Not willing to let the competition to steal all of the limelight with their recent pickup unveilings, Ford’s F150 Atlas Concept vehicle made an unexpected appearance at the 2013 Detroit Auto Show. And while the new C7 corvette may have been the media darling, the debut of the F150 Atlas concept is bigger news for the North American Auto industry. The F150 Atlas concept hints at what we might see in future F-series pickups and if you are not interested in pickups you are the minority. Last year Ford sold over 645,000 F-series pickups, making the line the most widely vehicles sold nationwide. 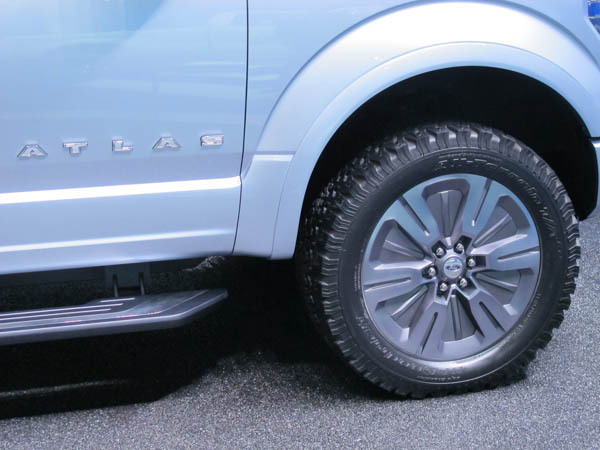 The F150 is a bread and butter vehicle for Ford and as common as they might be, the Atlas concept brought a number of innovative features to the table. The concept is powered by a next-generation Ecoboost engine that uses technologies such as engine start-stop to help improve fuel economy beyond the already impressive numbers seen on Ford’s existing Ecoboost engine. 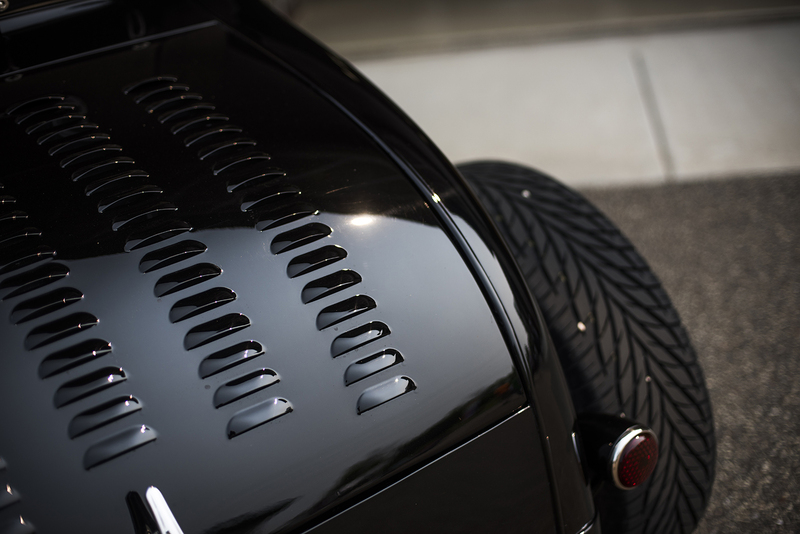 More exciting is the usage of active aerodynamic drag reduction aids that include active grille shutter, active wheel shutters and a drop-down front air dam that lowers at highway speeds to smooth airflow around the truck. Both features reduce fuel economy. The Atlas concept also features numerous technology innovations, including a first on a Ford truck, the 360-degree point-of-view camera that provides a bird’s-eye view of the truck, assisting when parking in tight places. 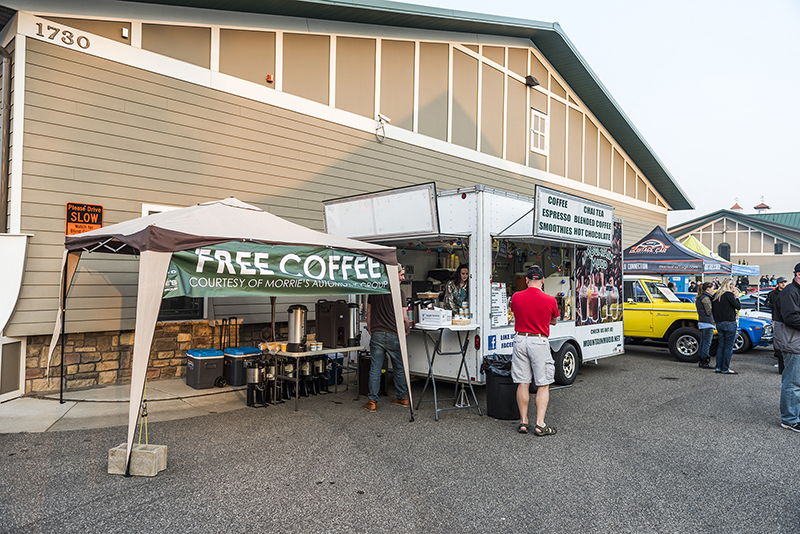 Trailer park assist takes the pain out of hitching up your trailer. Overall, the F150 Atlas Concept is an impressive vehicle. We sincerely hope that many of its unique features make it into production on the next generation F150. 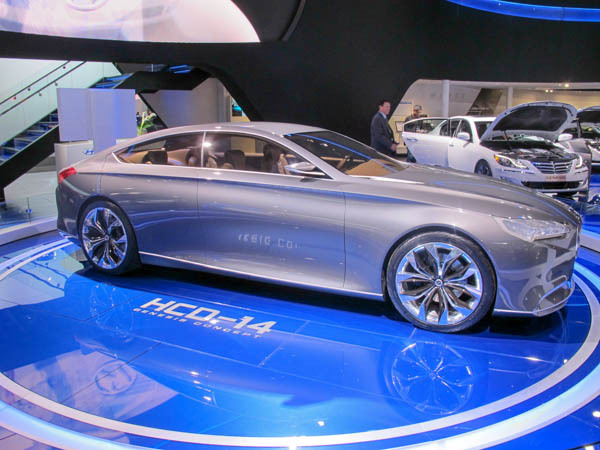 Hyundai’s HCD-14 Genesis concept provides a strong visual as to what the next generation Genesis might look like. On the inside, Hyundai hints at a unique control system utilizing 3-d hand gestures and eye movements to control infotainment and climate functions. Complementing the vehicles sleek styling inside and out, the HCD-14 Genesis is powered by Hyundai’s 5.0 liter Tau V8, that when coupled with an 8-speed automatic should deliver more than adequate performance. It will be interesting to see how many of the styling cues and unique features from the HCD-14 Genesis make it into production. With the 2014 Kia Cadenza, Kia hopes to jump into the US premium sedan segment and grab a little bit of market share. Based on looks alone, this should be an easy task. If you include all of the vehicles other features and attributes, it appears even easier. Positioned above the Kia Optima, the Cadenza, available with only one trim level, will come standard with navigation, Kia’s UVO connectivity system that integrates multimedia functions, a 12 speaker sound system and dual zone climate control. 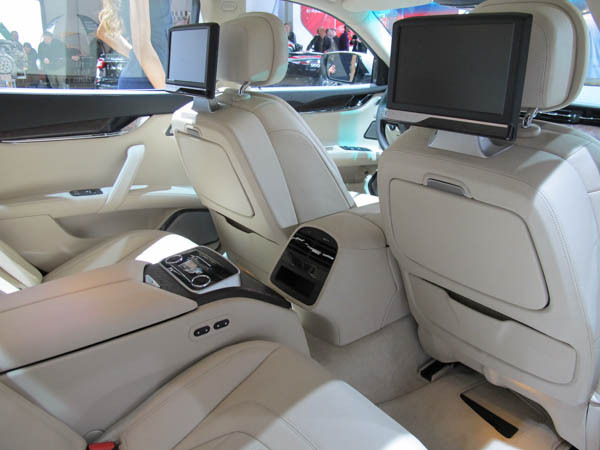 As one might expect, additional premium and technology packages will be offered that include heated and ventilated seats, a panoramic sunroof, adaptive HID headlights plus much more. 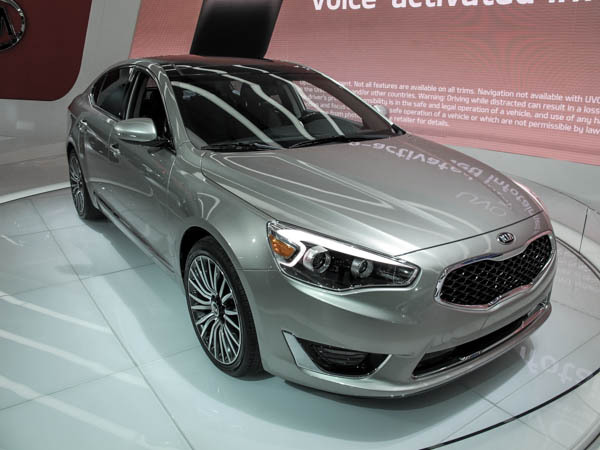 The 2014 Cadenza is the only Kia sedan in the US to offer a V6 engine. The 3.3-liter mill produces 293 horsepower, and when coupled with the 6-speed automatic, shared with the Hyundai Azera, delivers a respectable 29-mpg on the highway. From a design perspective, the Cadenza maintains Kia’s family grille, which is set off with LED headlight brows and a distinct character line running from the front doors to the rear taillights. On sale in the second quarter of 2013, we expect pricing for the Cadenza to start out around $34,000. Unless you’ve been under a rock for a while, you’ve inevitably noticed the Lincoln Motor Company’s assault on the luxury auto segment. They are clearly spending a fortune on advertising. 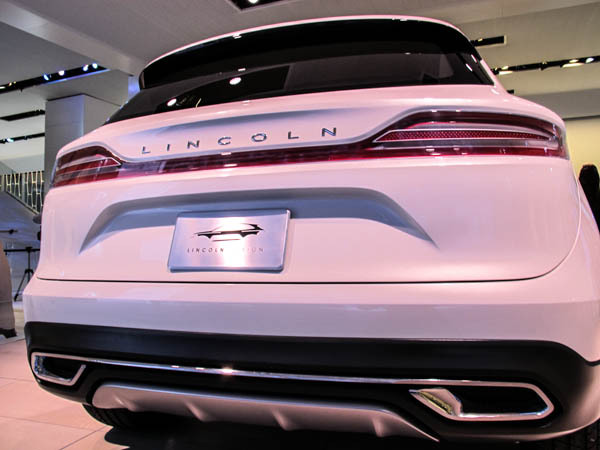 Leveraging their reputation for iconic vehicles, Lincoln has let their rejuvenated design center loose with the MKC Concept. 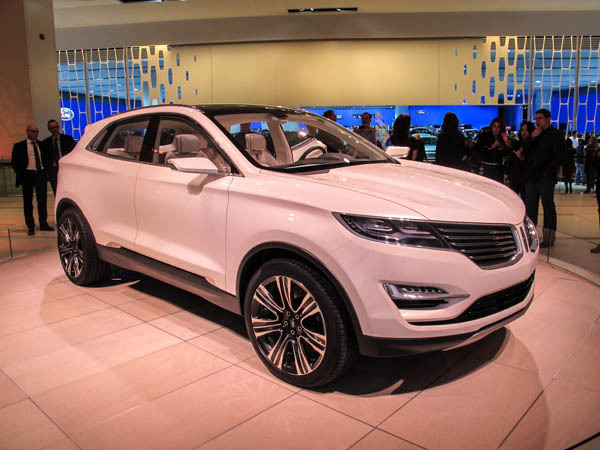 The MKC is Lincoln’s first jump into the compact crossover segment. Loosely based on the Ford Escape, The MKC is distinctly lower, longer and wider. The MKC also has a more mature and upscale look than it’s Ford counterpart, with unique elements such as its full length taillights, frameless windows, two piece tailgate and Lincoln’s signature panoramic roof. You might say that this is Lincoln’s best implementation of the their new corporate grille. We expect to see Ford’s 2.0 liter Ecoboost engine under the hood with the availability of front and all-wheel drive. 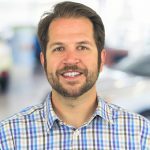 Whereas many concepts cars stray significantly from the production model that ensues, Ford VP Jim Farley, stated, “When you see the MKC, do not think concept.” This is great news, since we feel that the MKC is a visually pleasing vehicle that could play a big role in Lincoln Motor Company’s rejuvenation. 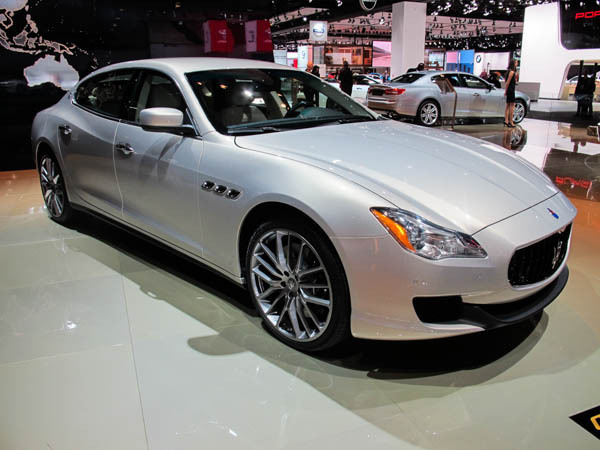 Maserati has ambitious plans to greatly increasing sales in the US, and the new 2014 Quattroporte will definitely help them achieve these plans. Making its international debut at the Detroit Auto Show, the 2014 Maserati Quattroporte continues the tradition of Italian grand touring. Maintaining world-class performance matched with a functional, yet simplified interior, the new Quattroporte builds on past generations to deliver the best in style, space, comfort, and speed. Having lost close to 200lbs over the outgoing model, the new Quattroporte is longer and a more luxurious vehicle. 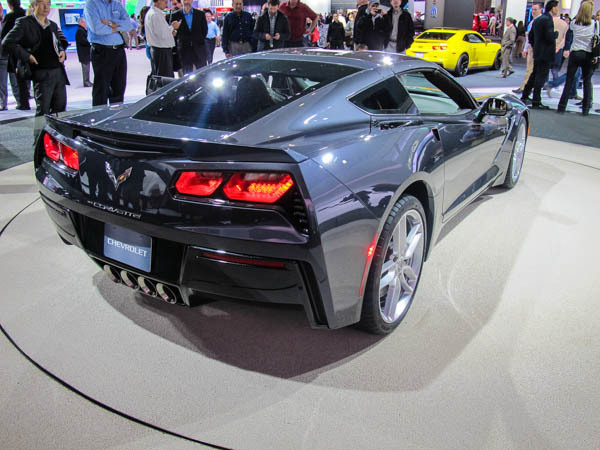 It is also quite a bit faster than the outgoing model. Not that this matters for most Maserati buyers, but there is a nice ring to it when you tell your friend that your grocery getter can hit 191 miles per hour. 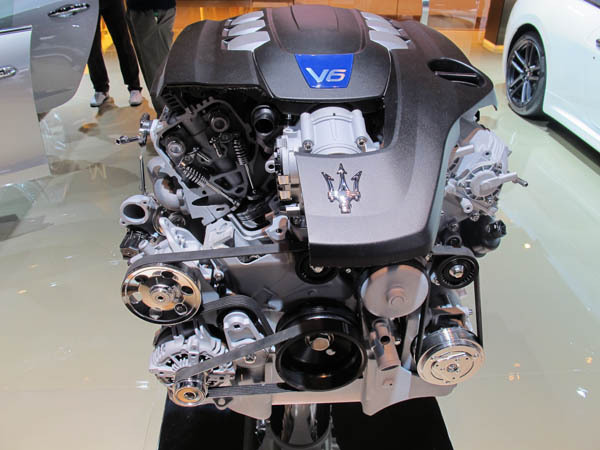 While on the topic, Maserati has opened themselves up to additional markets with the inclusion of a V6 all-wheel drive option. This combination will bring the Quattroporte into new territories where people prefer to eschew the V8 rear wheel drive configuration for all season surefootedness. Wrapped in elegant and completely new sheet metal, the 2014 Quattroporte has a stunning refreshed look that will bring it back to the top of the segment. We expect to see the 2014 Quattroporte in our showroom by late spring or early summer of this year. 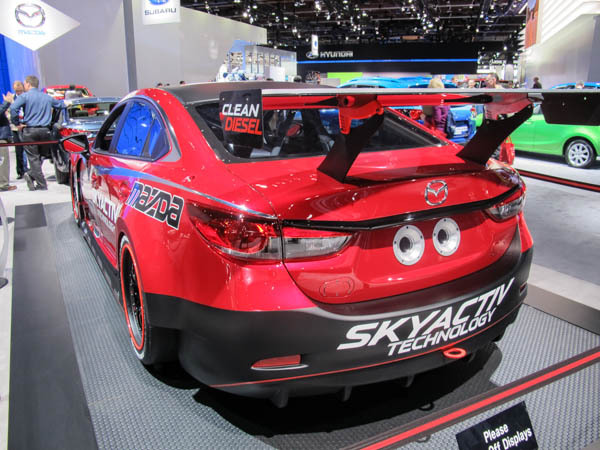 If you read our LA Auto Show blog from December, you may remember that Mazda rolled out a brand new Mazda6 with the optional Skyactiv-D engine. 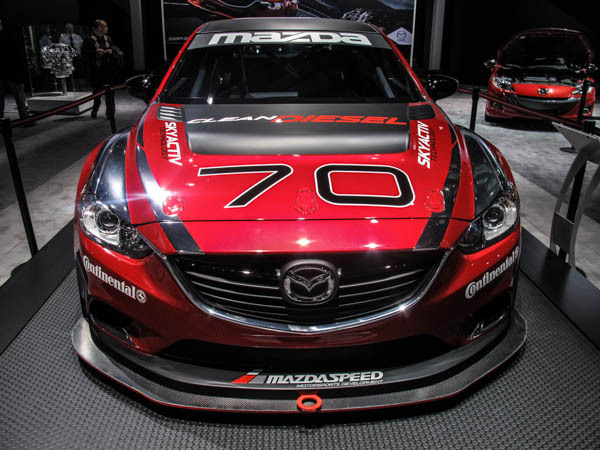 Mazda plans to prove the effectiveness and efficiency of this configuration when they run the car in the Rolex 24 Hours of Daytona later this month. The car they plan to run was on display at the LA Auto Show. Impressively, the engine in the tech-laden racecar keeps over 60% of the stock car’s engine internals. Mazda has a storied past in endurance racing and we won’t be surprised if they fare well in Daytona’s endurance classic later this month. 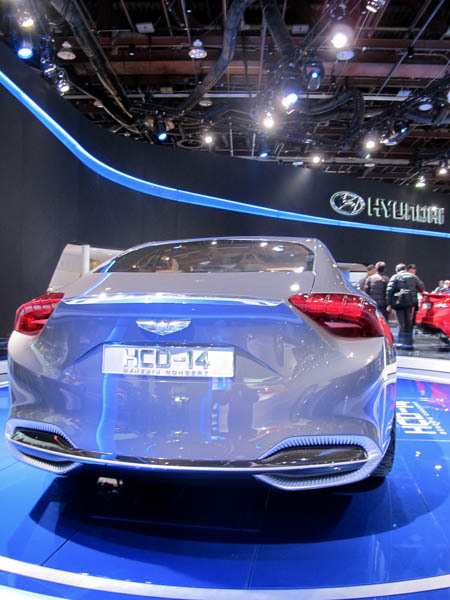 Like the Hi-Cross Hybrid concept, the Resonance concept is also powered by a hybrid drivetrain made up of a 2.5-liter four-cylinder engine combined with an electric motor. This combination is coupled to Nissan’s Xtronic continuously variable transmission. This hybrid arrangement benefits from increased efficiency thanks to its laminated lithium ion batteries that sets it apart from previous Nissan hybrids. As you might expect, the Resonance is not expected to reach production, but we are eager to see which elements trickle down to the next generation Murano and Rogue. 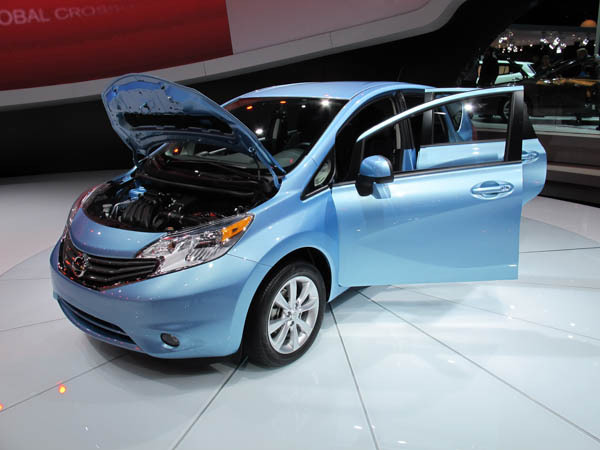 Nissan unveiled the 2014 Versa Note hatchback at the 2013 Detroit Auto show, which follows the redesign of the Versa sedan that we saw last year. The Note name, which is new in our market, has been synonymous with Nissan hatchbacks in overseas markets for nearly a decade. Nissan suggests that the Versa Note will have best-in-class cargo space and get up to 40 mpg on the highway with help from Nissan’s first active grille shutter. 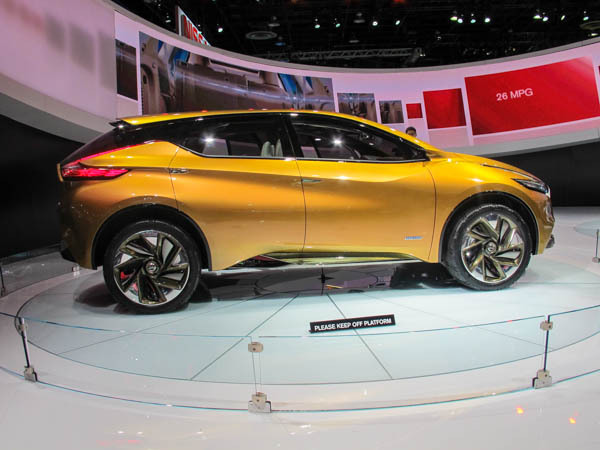 Available with Nissan’s 1.6-liter four-cylinder engine, the car will generate 109 horsepower and 107 lb-ft of torque. 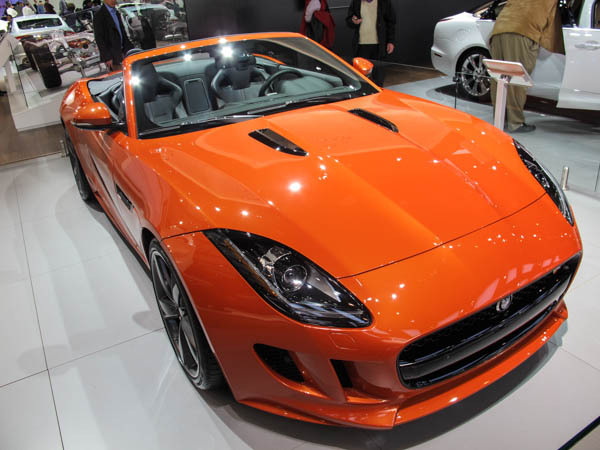 This power will be transmitted to the tires via a CVT automatic or 5-speed manual transmission. The Versa note, which will be available to the public in June of this year, will come in three distinct trim levels with options that include a height-adjustable cargo floor, heated seats, Nissan Connect with navigation, hands-free texting, rear-view monitor and the Around-View monitor, which gives the driver a bird’s-eye view when parking. The Versa Note is expected to start out at $14,900.